Why is negative gearing back on the table? When you buy Sydney property, you're already dealing with more than your fair share of costs. For starters, there's that median value of $919,240 as recorded by CoreLogic RP Data. Then there are troublesome taxes like stamp duty. In fact, Housing Industry Association Chief Executive Graham Wolfe recently said that new housing was one of the most highly taxed sectors of the entire country's economy. There are some points of respite for house hunters, especially when it comes to investors - namely, negative gearing. Being able to offset losses on a piece of investment real estate through tax deductions is a great way of making the process work for you, especially when positive cashflow property isn't as easy to make work at the moment. But looking at recent headlines, there's a lot of talk of removing negative gearing for existing houses. Is this going to do some damage to your investment prospects? New properties - the only kind of real estate that should get negative gearing? The changes to negative gearing were recently posed by the Federal Opposition, and suggest that removing negative gearing provisions for existing properties might benefit the housing market. The argument was that it would spur more interest in new housing, therefore keeping building starts at a high level. 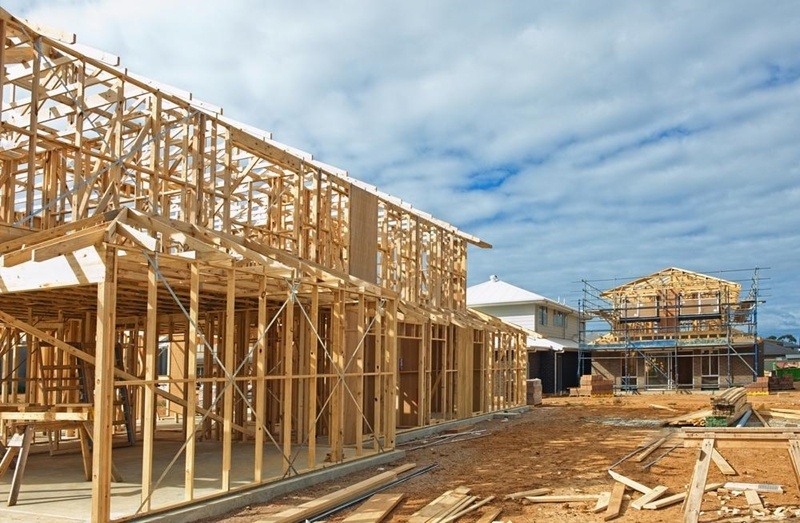 Supply tends to be an ongoing issue for Australian property. Supply tends to be an ongoing issue for Australian property, especially with demand so high in the last couple of years. And according to Mr Wolfe, negative gearing plays an important role in fuelling that demand. "Negative gearing promotes private investment in the rental market, both stimulating economic activity and taking the pressure off social housing and the public purse," he said on February 9. Evidently, removing negative gearing for existing properties hardly does much for the rest of these issues. It's change that needs to occur at a governmental level across the board. Who is buying negatively geared property? Another issue raised by industry voices in this debate was the audience for buying negatively geared homes. It seemed that the only audience taking part in the process was prestige buyers, but recent discussion has put paid to this suggestion. Ken Morrison from the Property Council recently noted that there were 1.2 million Australians with negatively geared property, and further breakdowns show the income bracket these people are in. It could be a lot of middle Australians that are put out by any removal of negative gearing. The HIA reports that roughly 70 per cent of negatively geared home owners had income of less than $80,000, suggesting that mum and dad investors might be put out by big changes to this tax landscape. So realistically, it could be a lot of middle Australians that are put out by any removal of negative gearing. Given the high price of real estate at the moment and continued growth we can expect here, it seems like negative gearing remains and appealing option for this house hunter set. Despite a 2.4 per cent drop in the value of investment property financing last December (judging by Australian Bureau of Statistics figures), it's still a very popular pastime for house hunters. In fact, between November and December there was still more than $11 billion of financing handed over to investors. John Cunningham, President of the Real Estate Institute of New South Wales, sheds a little bit of light on this in a February 24 statement. "People who invest in residential property do so as it is considered a safe haven but at the same time there is risk and as such a large assets class that risk is high," he noted. "Negative gearing lessens that risk slightly. People are generally terrified of shares and don't trust government with super, whereas property provides them with a sense of security as they can see and touch it." No matter what the conditions, property is still a very secure investment. It's why we saw so much foreign interest in our real estate market over the last few years. And if negative gearing stays, a wide range of Australian house hunters might still have easy access to an investment strategy that suits their goals. As for actually finding the right home? Whether it's for negative gearing or you want positive cashflow property, you're going to be better off with the help of a buyers' agent. At Propertybuyer, we specialise in finding people exactly the real estate that matches their goals. It could be off-market, an up and coming development or backdoor access to a prestige suburb - we'll make it work for you.